Some say you can tell the real soul of a city by the local habits and how the locals spend their free time. 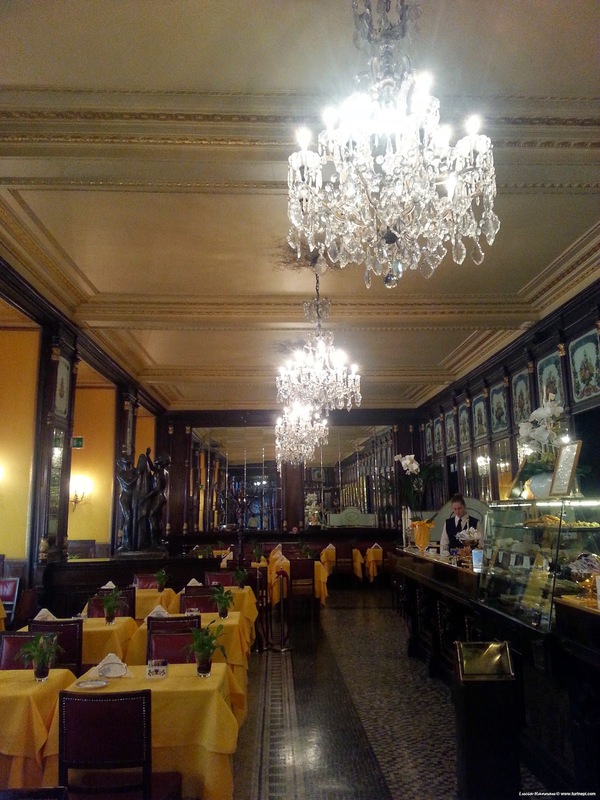 If it is true then, Turin's soul is in its cafés and its love for coffee and hot chocolate. In fact, as a typical 18th century city, Turin has always had the bug for coffee, coffee houses and even chocolate houses. Here, intellectuals, politicians and authors have always enjoyed their espresso cups, bicerin or even only the velvety quiet of the café to regroup their ideas. Turin's deep love for coffee is reinstated by the different Italian coffee brands founded in the city (e.g. : Lavazza, Vergnano, Costadoro) and even Bialetti, the famous Italian percolator, was invented in Piedmont! Many cultures in the world definitely share the coffee rite and many other Italian cities are famous for their cafés, however, only Turin really offers so many opportunities to enjoy coffee in a full royal way! With so many beautiful historical coffee shops, many tours could easily be organized and visitors could enjoy a different coffees, hot chocolate or bicerin in each café. 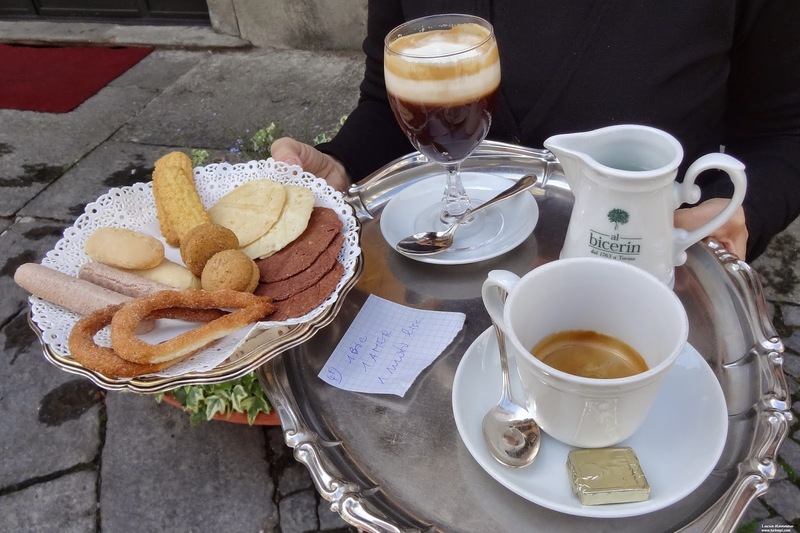 The first stop of any caffeinated tour par excellence would be at Al Bicerin in Piazza della Consolata, near the pedestrian Via Gairbaldi and the Porta Palazzo market. 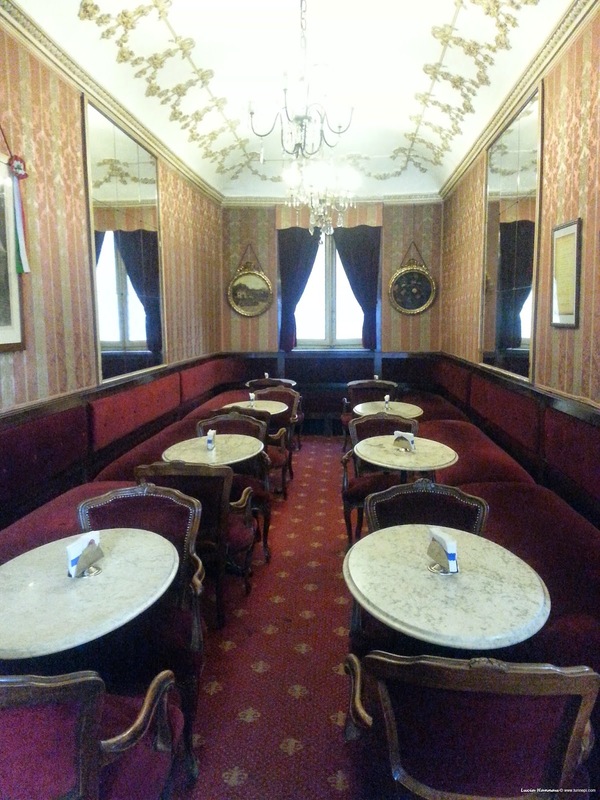 This is where the very first Italian Prime Minister used to have his mid-morning bicerin, the staple coffee of Turin. Bicerin is a luscious mix of espresso, chocolate and cream and its rigorously served in a glass; unlike what one could think when seeing the spoon, it shouldn't be mixed to allow the savoring of all the single layers: the foamy cream, the coffee and the cocoa. Hot chocolate is naturally another specialty of this tiny 18th century coffee shop and in the summer, the menu includes a velvety cold hot chocolate too. 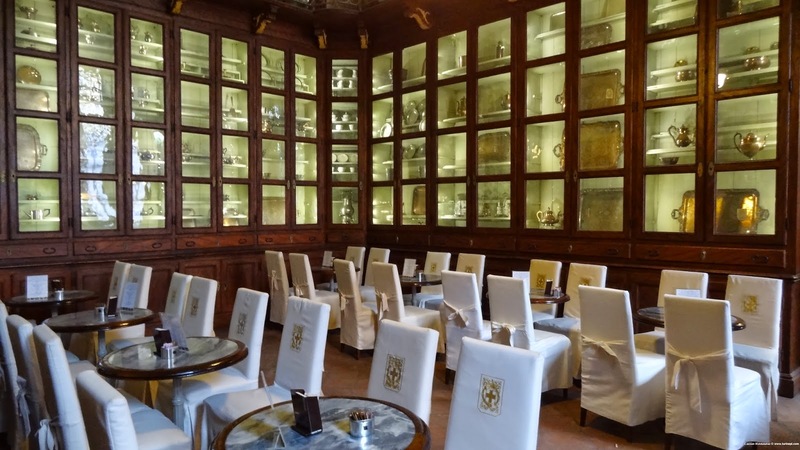 The Palazzo Reale café would come next; here, chocolate cake and the royal afternoon snack are a must and, as you sit down in the main room, you can't help but feeling blue blood flowing in your own veins! Looking yourselves around, the walls display historical silverware and china sets making of this café the ultimate royal palace! In Piazza Castello, just in front of the Royal Palace, under the porticoes, there are: Caffé Mulassano and Baratti & Milano. 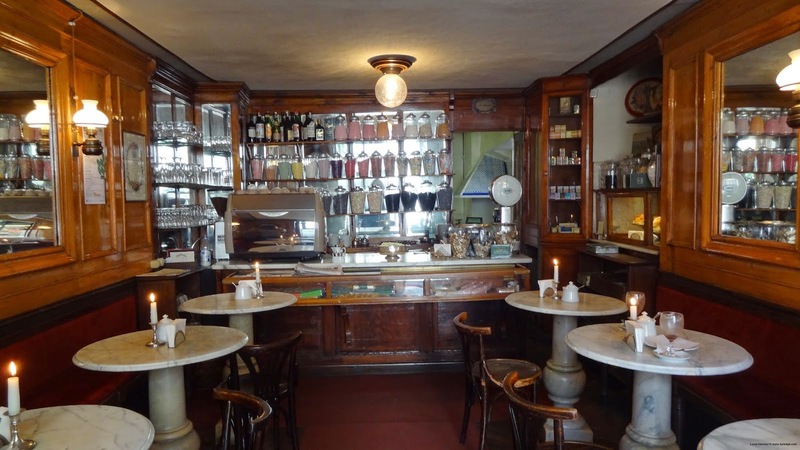 Like Al Bicerin, these are among Turin's staple coffee shops, symbols of a city and a culture that knows how to stop to enjoy the little life pleasures. 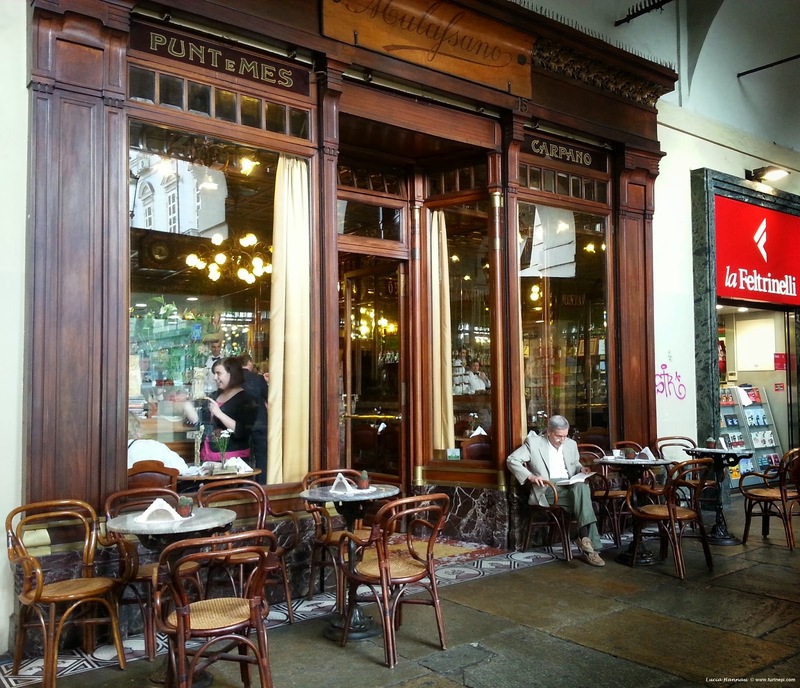 These cafés are so rooted in the hearts of the locals that they appear even in movies and books. Mulassano for example, is the coffee shop of choice of Giuseppe Culicchia's fictional character Anselm, a Brazialian advaark. Anselm loves sitting at one of Mulassano's windows while eating his "ant jam" sandwich. 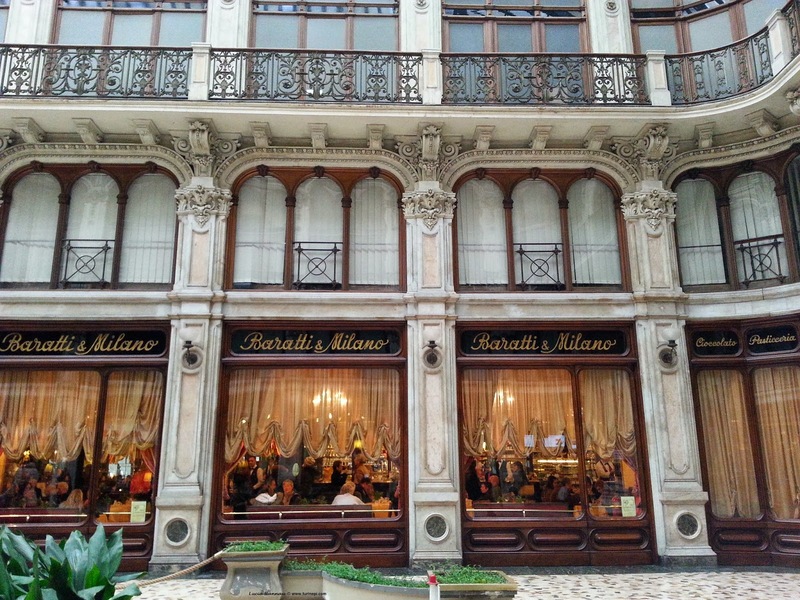 Baratti & Milano is famous for its chocolates too, like pralines and the cremino. As you set your foot in, you feel like crossing the stargate and being teleported to another time: chrystal chandeliers, hand painted tiles behind the bar and elegant tables looking on to the Galleria Subalpina with its indoor garden help creating the atmosphere. 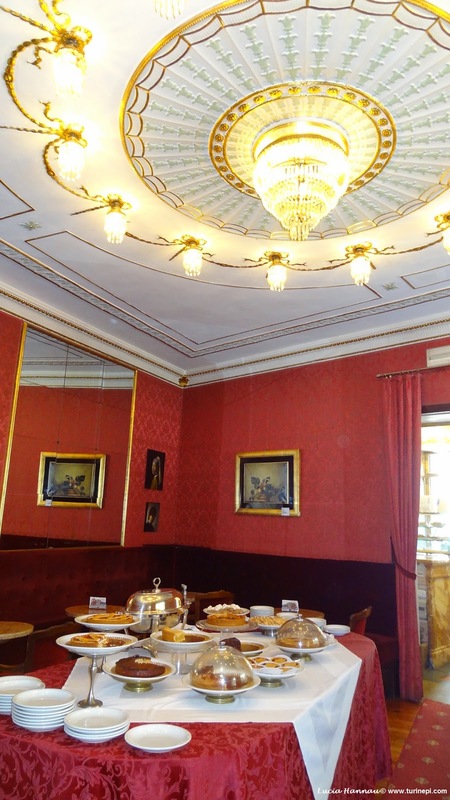 Because coffee and hot chocolate in Turin are a serious thing, and to properly savor them, you just can't overdo, ideally, you needs explore a different café each day here. One coffee tour could finish in Via Po, in the historical Caffé Fiorio which is famous for its gelato, merenda (afternoon snack) and apericena (tapas like meal) buffets. These buffets are rather rich and you can easily have your dinner there. Certainly, Fiorio has been a popular place since the 19th century and Turinese crowd it all year round, both for its hot chocolate. coffees and bicerin, and for its aristocratic atmosphere. All these cafés serve many other local specialties, from grappas, meditation wines to cold drinks based on mint syrups (yes, like in France) and even Vermouth as Turin is its hometown. Needless to tell you that each piazza in Turin, especially downtown, has its own famous cafés and because according to the local culture, you need time to savor, this is is only an idea for one coffee shop tour, as others can include many other places, historical and contemporary, to feel like a royal or to work on your computer. I simply cannot wait to try my first proper Bicerin!